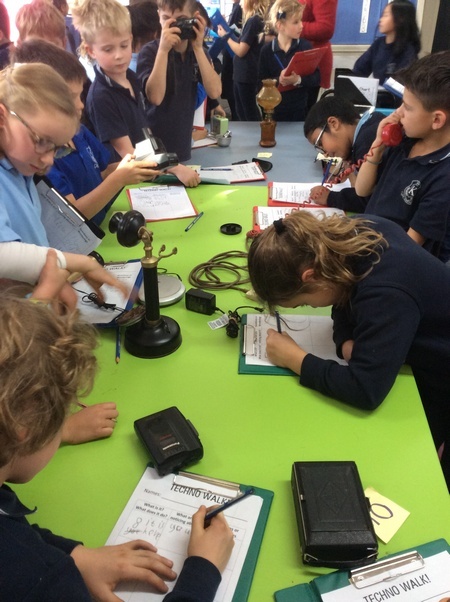 This term the Junior School students and teachers have been having lots of fun looking into old, current and new technologies. This is all part of our new Inquiry unit, ‘Back to the Future’, exploring the central idea that technology gives us clues into the past and future. This unit will culminate in a ‘Shark Tank’ style of presentation, whereby students will be tasked to design a piece of technology for the future and present their idea to a panel of teachers, parents and their peers for assessment. To begin this unit, students were asked to sort various pictures into two categories, technology or not technology, and to explain their answers. As you can imagine, many students initially had a limited understanding of technology, giving examples such as iPads, iPhones, computers, or just anything electric. After some debate, students came to the realisation that technology doesn’t have to be electric, but it does have to be practical and serve a purpose. Therefore simple everyday items such as pencils, scissors and staplers were then identified as pieces of technology. Over the holidays, the Junior School teachers were busy rummaging through our garages and grandparents’ houses to find examples of old pieces of technology. 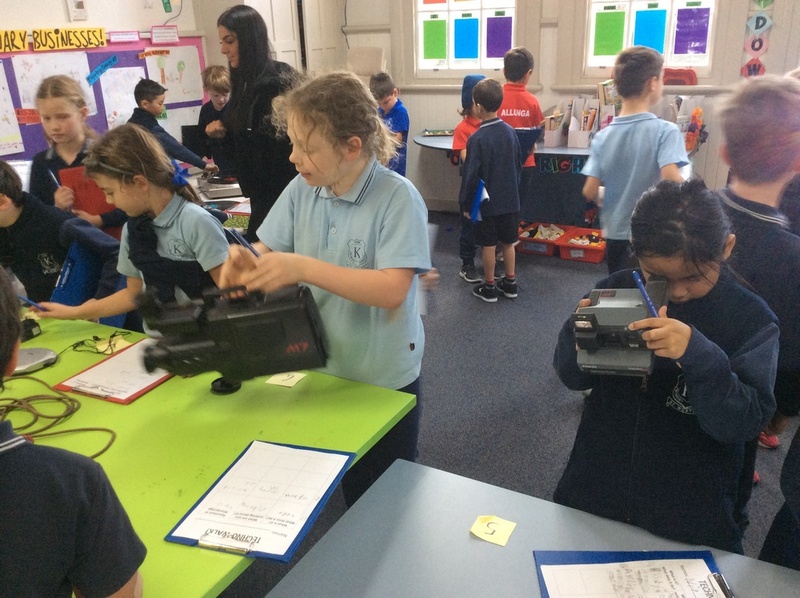 Items such as a VCR camcorder, dial phones, record players and Polaroid cameras were brought in and students allowed to have some exploration time. The students were so excited and curious to try to figure out what the technologies were and how there were used. The results were often hilarious for those of us old enough to remember using these technologies in everyday life – the teachers’ highlight was watching the students use the VCR camcorder backwards! Next in store for the students was our excursion to Scienceworks! 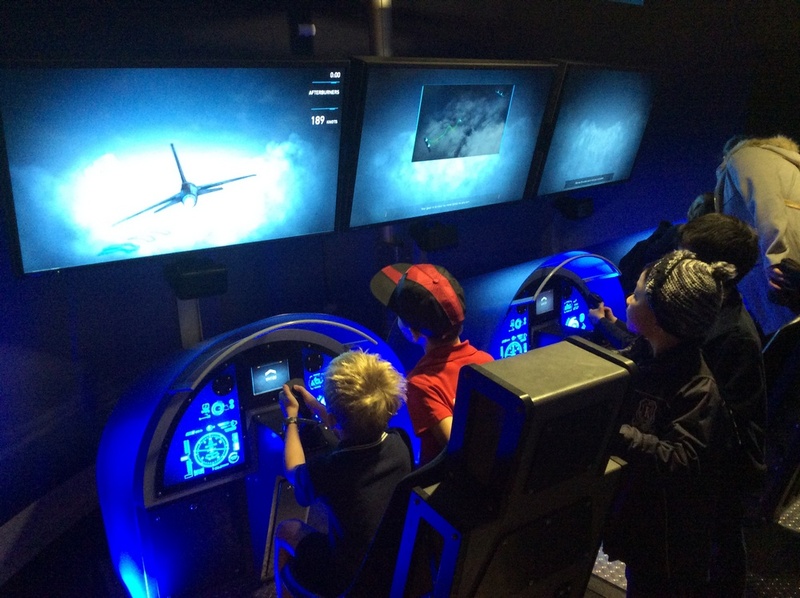 Many of the students commented that their favourite part of the day was exploring the new exhibition, ‘Above and Beyond’, which explored the history of flight and looked to the future of space travel. Students were even able to design their own jets and then to fly them through an obstacle course in a flight simulator! 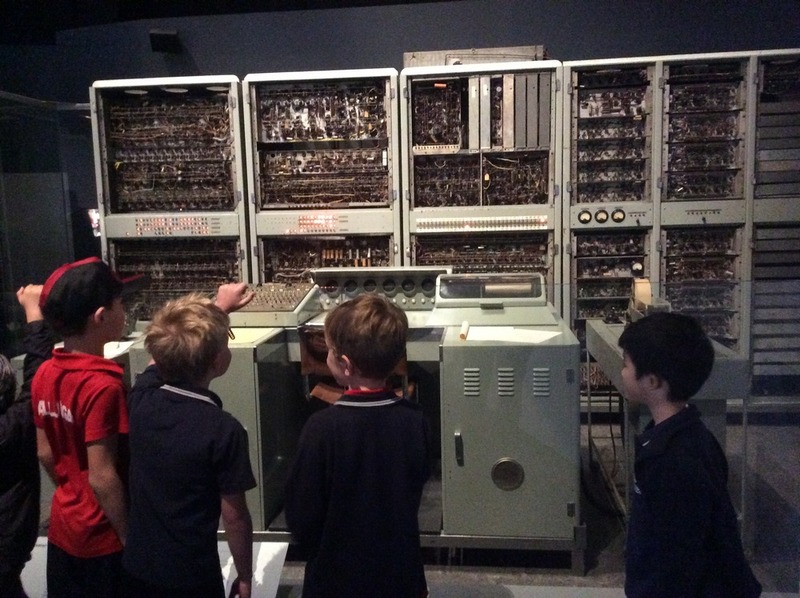 Other highlights included seeing the oldest computer in Australia, released 1949, and designing our own cars of the future. There is a real buzz around the students now wanting to learn more about technology, so if you have anything interesting around the house it’d be great to show it to the kids! In the meantime, search ‘Kids react to technology’ on Youtube for a good laugh! We hope that your children are enjoying this term’s Inquiry unit and we look forward to seeing their ideas for the future! 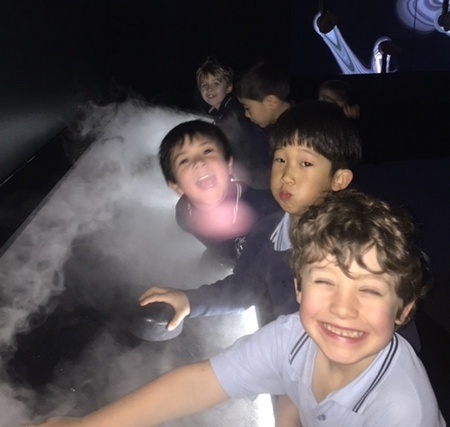 This entry was posted in Learning, Students and tagged excursion, extra-curricular, Grade 1, Grade 2, iPads, Prep, science, technology by Kate W. Bookmark the permalink.